The Blue Tigers look to put themselves in pole position to qualify for the tournament in the UAE in 2019. If you've liked the time with us, follow us on Facebook and Twitter. You can also follow the writer from his Khel Now profile in the 'Written By' section just below the main image. Khel Now will get you the match report soon. 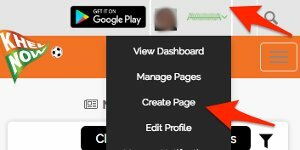 Also, you can write your suggestions to socialmedia@khelnow.com. For now, celebrate Balwant Singh's brace and India's victory with a smile. FULL-TIME SUMMARY: The visitors wouldn't have thought it to be that easy, would they? 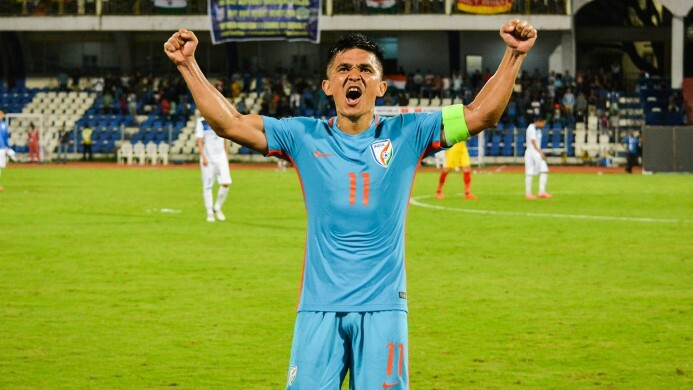 India steamrolls Macau away from home as the Blue Tigers ride on a Balwant Singh second-half brace to make it three wins out of three in AFC Asian Cup qualification. 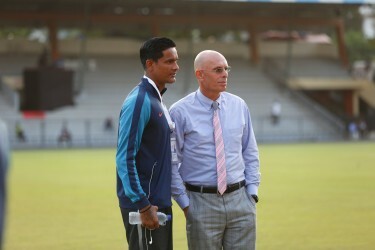 Macau proved no match for the Stephen Constantine managed team, failing to put a solitary shot on target. 90+3' FINAL WHISTLE. INDIA 2-0 MACAU. 90+2' Borges scores, but Narzary, the assist provider, is offside before he plays the ball. 90+1' Macau with the last wave of attack from the left side. Macau has had no shots on the game. Balwant makes a run, Borges picks him easily, plays to Chhetri, a little too light. Chhetri is almost furious. 90' The game resumes with India's throw in from the right. Sunil is found by Jackichand with a brilliant pass. Some sublime link up play on display in the opposition box. Three minutes will be added on. 89' India make it two-in-two in away encounters. Good for the confidence. Pritam Kotal is down with a little cramp. Walks off the pitch. 87' Six clean sheets in 11 games. A brilliant long ball from Gurpreet, but Chhetri pulls down a Macau defender. The team should help Balwant get to his hattrick, if possible. Will be one of the better things for the confidence of a man who's waited long for his call up. Germanpreet Singh comes on for Jeje Lalpekhlua's place. Chhetri will be pushed higher up. 86' Chhetri and Borges have steadied the midfield ship with comfort ever since the departure of Eugeneson Lyngdoh. 85' India should now make it nine points in three games and virtually will have one step in the AFC Asian CUP 2019. The dream is on. 84' India continue to dominate, and the hosts show no sign of rebellion. Coasting to a comfortable victory, the visitors. 83' BALWANT SCORES WITH A GURPREET ASSIST!!!!! LONG BALL, poorly handled by the MACAU defense and Balwant gets his brace. The man has been in touch, hasn't he? He must get to his hattrick. 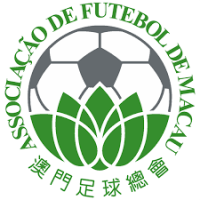 82' Macau have a corner, as Das blocks a corner. 36 minutes into the half. Can they spring a surprise? 80' Macau attack, but Gurpreet clears from just outside his box. Jhingan clears another one with a slide. JACKICHAND SINGH COMES ON FOR UDANTA SINGH ON THE RIGHT WING. 79' Kotal to Udanta, and gets back. India hasn't really looked in trouble. Narzary tries to shoot from distance after a ball from Borges, but mis-connects. 78' Breaks down, India restart the proceedings. Das goes long, Balwant tries to get to the ball but is too heavy. 77' Throw in from the right for macau. Cleared by Narayan Das. First attack from the hosts in the second half, after 32 minutes. 76' Will India ever give away possession in this game? Macau attack, but is cleared by Anas. 75' India playing a high line, with the defenders playing as midfielders. Such has been the dominance from the visitors. Poor stuff from the hosts. Kotal finds Udanta again, crosses again, Balwant heads again, over again! Fifth header. What a day for the recent comeback man! 74' Should've been 2-0, but Fan Mai clears a miss pass. 73' Borges sends in, Balwant heads! SIDE NETTING! How close has Balwant come in throughout the game! Brillinat performance from the substitute. 72' Goal kick, but India rewin possession. Sunil makes a run through the middle. India win a corner as Macau clear the ball played to Jeje from the Indian captain. 71' Chhetri playing deep with Borges. Udanta with a shot from distance, is just wide. 70' India have another corner. Borges takes it. Chhetri tries to flick it brilliantly, but is saved. 69' Kotal and Udanta combine beautifully, but Udanta can't reach a ball from Kotal. 68' Will India make it three 1-0s or will they make it more? The game restarts with and Indian throw in from the right. 67' Medical assistance needed for Cheng Hou after a collision with Udanta Singh. 66' Goal kick, well defended by Jhingan. Anas clears another through ball. Borges starts another one from the left with Narzary. 65' Another corner to India. Rowlin crosses for Balwant deep but is just out of the game. India easily outplaying their opponents and continuing the right momentum. 63' KOTAL shoots from distance but it is just tipped over. Corner will be taken by Borges. Good ball, close to the penalty spot. Is cleared off Jhingan's head. 62' Borges loses possession, but Macau clear it for an Indian throw on the left. Chhetri playing deep and almost parallel to Borges. The captain knows how to win and kill games. 61' BALWANT WITH ANOTHER HEADER. KOTAL with a great ball in, but is just wide. Should've been two! 60' Chhetri now trying to calm his troops to maintain possession. India must go for the second goal. Udanta crosses, but is too powerful. Goes out for a throw in to Macau. 59' Das throws from the left, Jeje places it for Chhetri to shoot, is blocked. 58' The substitution has worked. Balwant has now scored twice in his last three games for the national team. Chhetri finds Jeje with a low pass, and Jeje tries to play on to Balwant with a cheeky flick. Is just a little wide. 57' BALWANT SINGH HAS GOT THE FIRST ONE! WHAT A HEADER! WHAT A BALL FROM THE LEFT FROM DAS! INDIAN FANS LOOK IN RAPTURES! GOT BEHIND THE DEFENSE BEAUTIFULLY AND PLACES IT LOW TO THE GK's RIGHT. 56' Borges head a ball to Das, easily re-gaining possession. It's the same story. India attacking with almost ignorant ease now. 55' Chhetri tries to curl it from the outside, but is too powerful and sails over. Goal kick and a sigh of relief for Macau. 54' Kam Chi Hou brings down Udanta. Good position for Chhetri. Das is also interested. 53' Kotal and Rowlin combining well. Chhetri is playing the No. 10 role behind Jeje and Balwant. Jhingan plays a clearance behind to GSS and gets it back. Recycling it well. 52' India concede a free kick close to the Indian central half. Low ball in, dealt easily by Rowlin, is cleared for a throw in to Macau. 50' India have the possession again, after Macau's goalkick. India is virtually attacking with every attempt! KOTAL CROSSES, CHHETRI heads, Goalkeeper, onto the cross bar! OHHH, it should've been a goal. Brilliant attempt. 49' India have continued playing in the opposition half. Balwant meets a good cross from Kotal, is just wide. Pretty close. 48' Good link up play between Balwant, Jeje and Sunil Chhetri. Balwant tries to score with an adventurous flick. India looks to have found some added vigor with the former Mohun Bagan and Churchill No. 9. 47' Jeje concedes a foul in the center of the pitch. Smiles and shares some words with the opposition player. 46' India kick off from left to right. India win a corner, and Borges takes it with a close pass. Anas clears the ball from an Macau attack. Das crosses from Sunil's pass, Jeje heads, is wide. 46' India transforms to a 4-1-3-2. Balwant and Jeje now make life difficult for the hosts' defense. The Indian team is back on the pitch. Balwant Singh comes in for Eugeneson Lyngdoh. Sunil Chhetri and his attacking teammates need to keep the ball down and break the opposition's defense. Playing between the lines could be a major tactic, if played well. The visitors should also try to push someone like Borges in the box more often. Will ROBIN SINGH play the second half from its onset, or will he and Balwant wait for their opportunities later in the game? We'll have to see. HALF TIME WHISTLE: Stephen Constantine only needs to send one message across to his team, BE RUTHLESS. The Blue Tigers have created changes by the numbers but have not reached the desired ends. With a little more aggression and bite, the visitors look set to make it three-in-three. It could also be one of those days when things just don't turn out the way you expect them to be. Macau, on the other hand, have continued their defensive spree, and have been lucky to have managed to keep the game goalless. The hosts will be looking to continue in the same vein and hit the visitors with a late goal to garner their first points. 45+1' Chhetri chests down a long ball for a speeding Udanta, but referee calls it a hand ball. 45' Free kick at about 45 yards from the Indian goal to the hosts. 1 minute has been added. There's been some altercation in the defensive line and Macau's attackers. Choi floats a ball in, but is dealt easily by GSS. 44' Park the bus is what Macau has done well to be honest. They haven't given India the right amount of space. Chhetri finds Kotal on the right, who plays it to a running Udanta ahead. Udanta crosses, find Jeje, but there's not enough power and direction. Is cleared again! 43' Eugene takes the corner. Second post. Far post, in no man's land. Cleared for Gurpreet to control. Borges restarts an attack. 41' Das to Jeje, Jeje to Narzary. Narzary finds Sunil on the second post with a brilliant low cross, Chhetri tries to place is! SAVED! Corner for the Tigers. 40' JEJE's header sails over the bar! DAS floats in a bar, is just over as the goalkeeper comes out. Good chance for the visitors. 40' India thwart another attack from Macau on the deep right corner line. Das clears his lines. India create again, and Udanta plays it back to Borges. 39' Eugene to Sunil, Sunil with a cute lob in Lyngdoh's path in the box, but is defended well. Good link up. 38' The right wing has been a little less productive compared to the left. Narzary and Das have combined brilliantly. 37' Chhetri tries to fire from a similar range as Lyngdoh, but is well over. Goalkick to Man Fai. 36' LYNGDOH! HITS THE POST! From distance, on the turn! Closest chance of the game. India virtually playing against a team which wants to defend. 35' Chhetri looks to have been irked a little by Das' possession game play. Jhingan beats two man in the India half. Borges tries to find Chhetri, wastes. 34' Narzary turns after receiving a pass from Das on the left. Beats his man, crosses in a melee, but Jeje cannot control the unexpected delivery. Another chance goes begging. 33' Another ball from Macau in the Indian box, but Gurpreet is too good for the task. Training stuff for the former Stabaek FC goalkeeper. 33' Eugene has been an absolute pivot in the central circle so far, and looks to be enjoying himself hitting those long balls. Just needs to find the wingers and strikers with more regularity. 32' India clear the best attack so far, but without real venom. Macau look to be hoping just a point, a draw. 30' Udanta is back on the right after switching flanks with Narzary. Chhetri tries to dummy two defenders, but Jeje is out of line from Narzary's ball. Narzary unleashes a low shot after a good exchange between Chhetri and Eugene. Collected with comfort. 29' Eugene concedes a free kick in an interesting position. Eugene and Das in the wall, can be curled from the left. Sandhu looks confident. 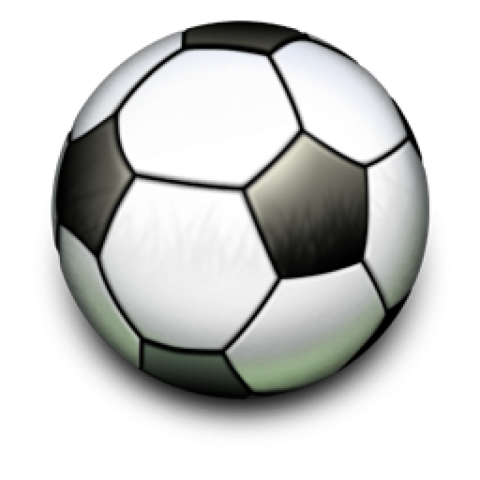 The ball sails over the bar. 28' SUNIL CHHETRI unleashes a left footer, is hit with sting, but is just a little wide. Good attempt. Pressure is back on the hosts. 27' Narzary tries to find Jeje with a cross from the right. Just a little too heavy, and the ball is in the arms of Man Fai. A little precision would be better. 26' First corner for India. Eugene takes it. Passes it close to Chhetri. Opportunity wasted. 25' SUMMARY: Macau has sat back and enjoyed parking the bus, while India continue to make attempts to find that first elusive goal. Sunil Chhetri and Jeje link up well, and Eugene and Borges have had more than desired space in the middle of the pitch. India need to improve quality in the opposition third. Hight time the Blue Tigers throw in more numbers in the opposition box. 24' Borges tries to find someone on the left with a cross field ball, but no one makes the run. Narzary should've been there. 23' Ka Seng tries to make a cross, but it is heavy and goes out. India wins a goalkick. Narzary starts another one from the left. 22' Jeje and Eugene combine and try to find Narzary, but an opposition defender stops the ball. Macau with a throw in on the right wing. 21' Eugene tries to find Kotal on the right deep wing, but the ball goes out. Goalkick to the hosts. Narzary heads it cleanly in the center. 20' Chi Hang is out for medical treatment. The game resumes, and the player is back after his home team wins a throw in. Choi starts one from the left, but looses possession again, as India build from the left. 19' Jeje receives it with a brilliant cover and turn and places it for Chhetri to volley! The captain shoots, but is wide under pressure from Chi Hang. 18' Chhetri tries to find Udanta with another lob, goes out for a goal kick. India needs to be creative and more thoughtful. Throw on the left in the opposition half for the visitors. 17' Another throw, shot from Macau, is out for an Indian throw. Way, way wide. Das with another attack from the left. Plays to Narzary, good cross, but is a little heavy for Jeje. 16' Jhingan with a safe clearance. Macau with a deep throw on the left. Leonel working well in attack for the hosts. 14' Long ball from Macau, defended well by Anas. Throw in, cleared by Borges. Macau have a corner and Lan Seng takes it. Well beyond. Udanta receives beautifully from Eugeneson and tries to make a run, but is defended on the way. Narzary misjudges and cannot receive an easy long ball to give away a Macau throw. 13' Macau enjoying their first short session of having the ball. Eugene re-wins it. Sunil with a shot from just outside the box, and it hits Jeje on the run! Unlucky! First attempt on goal. He's deadly whenever he plays centrally. 12' Long ball from Macau, after a foul from Borges. Gurpreet collects calmly. Tries to find Udanta with a long throw, ball's out for a Macau throw. 11' India, India cheers is filling up the stadium! The Blue Tigers must be motivated and happy with the same. Eugene tries to find Jeje with a ball in the box, and the Sniper tries to head, but is defended heavily. Another chance, close! 09' Throw on the right side in own half for Macau, but another foul throw. Das takes over in an interesting position, throws to Jeje, who tries to cushion it to Chhetri. Just half a yard away from the skipper. Good attempt. Chhetri tries to find Udanta in another attack with a lob, but the youngster read it all wrong. 08' India looks to be playing the possession game throughout the field, except for the final third of Macau. India create another one, but Jeje can't control it well in the box. Jhingan regains possession from the clearance. 07' Sunil is playing higher up, certainly as a second striker when the Blue Tigers' are attacking. Good start from the visitors. Udanta to Borges to Eugene to Narzary. The ball's made a full midfield circle. India have enjoyed most of the possession against a side which lost 4-0 to Myanmar. 05' Das with a throw on the left in India's half. Eugene plays it to Kotal, receives it back and Narzary crosses a loop well deep. Udanta with a run, but is unable to find anyone with a defender. India taking early initiative in the game. 04' India is keeping the ball down, and it's refreshing to see. Good possession football as Eugeneson and Borges enjoy some space in the center of the pitch. Narzary with a good skill on the left wing but passes back to Das. Narayan and Kotal enjoying some attacking intent as well. 03' Macau with a throw on the right wing. Ka Hou with the throw, but the receiver fouls on Das. Anas continues the play with a pass to Gurpreet, who plays it on to Jhingan. Good positive thinking from India. 02' India look to build from the back, and the team is keeping possession well. Positive attitude, and something not regularly seen from the Blue Tigers. Good days are here, aren't they? 01' The home team starts with the proceedings, from right to left. Chhetri tries to find Udanta with a ball on the right wing, but is a little light. 16:58 'Jana Gana Mana' is set to fill us with National prides again. 16:57 The teams have walked out and have lined up for their national anthems. 16:55 Kotal and Das have also been very positive and powerful. If you're reading this, help us with your predictions! You might win some goodies, if you're the first one correct. 16:53 India hasn't conceded even once in two AFC Asian Cup Qualifiers so far and credit must be given to Sandhu, Edathodika and Jhingan. Defensive wall? CERTAINLY! Will they keep up the record, we'll have to wait for that. 16:52 Khel Now brings you information from everywhere, even from the stands of the stadium! IF you're not there, cheer for the Tigers here! 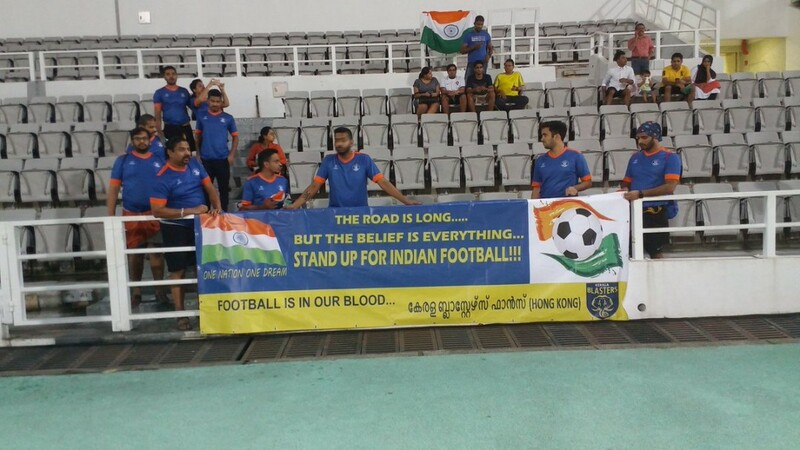 16:50 Some support to the Indian football team. Various sections have reached Macau to #BacktheBlue! Raise your voice and help us reach out to more people. Share the live commentary and ask your friends to follow everything here! 16:48 The kick off happens in 12 minutes! Where are you? If you're here, help us with your presence with a comment and ask me anything you want to know! 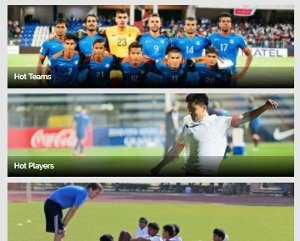 16:46 Create a buzz on the social media with the #BacktheBlue and #MACvIND. This deserves to trend, doesn't it? 16:45 The Mizo Sniper will bring in all his experience of playing with the captain and No. 11. Our bet's on Jeje to score. 16:43 Jeje will also try to come back into his scoring boots, having scored 7 times and assisting six times! Mini-drought? NAAH! With Chhetri behind, Jeje will be back with a bang! 16:41 In the last 10 games, the captain has played just six games, scoring four times and assisting thrice. On fire, Chhetri. 16:40 54 goals in 94 games is no mean feat. A striker rate of 0.57 is impressive. 16:38 Macau's captain, Paulo, is a pretty capable puller of strings in the centre of the pitch. 16:35 The defense, as always, remains the same. Will be interesting to see how Eugene and Chhetri tune in with each other. 16:34 India is set to start in a 4-2-3-1 formation, or a typical 4-4-2. 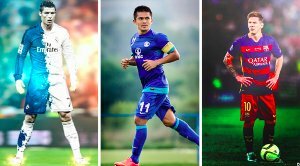 Sunil Chhetri, as a lot of people hoped, will play a more central role. The captain will either don the No. 10 role or the second striker role. 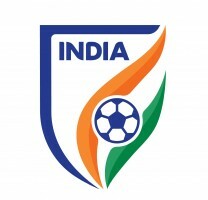 16:28 INDIA STARTING XI: GURPREET SINGH SANDHU, KOTAL, JHINGAN, EDATHODIKA, DAS, BORGES, LYNGDOH, UDANTA, CHHETRI (C), NARZARY, LALPEKHLUA. 16:22 Jhingan will be expected to continue in the same vein as he did against the Kyrgyz Republic and Myanmar, alongside Kerala lad Anas Edathodika. 16:20 Will Robin Singh make the XI, or will we see the Jeje-Balwant pairing? Both Robin and Balwant scored in the Tri-Nation series against Mauritius. Jackichand scored with a header in the draw against St. Kitts & Nevis. 16:15 It is not difficult to guess that Bengaluru FC's pair of Gurpreet Singh Sandhu and Sunil Chhetri would make a comeback to the starting XI. Will Udanta make the cut as well? Or will Constantine go for Jackichand's experience? We'll have to see. MIDFIELDERS: Udanta Singh, Jackichand Singh, Nikhil Poojary, Eugeneson Lyngdoh, Rowlin Borges, Md. Rafique, Germanpreet Singh, Anirudh Thapa, Halicharan Narzary. 16:00 Hello and welcome to the Live commentary of the crucial AFC Asian Cup Qualifier between hosts Macau and India. This is your host Punit Tripathi standing by to bring you all the action as it happens.